Between Feb. 13 and 17, students in the Commerce and Administration Students’ Association (CASAJMSB) will be given the opportunity to have their voices heard. 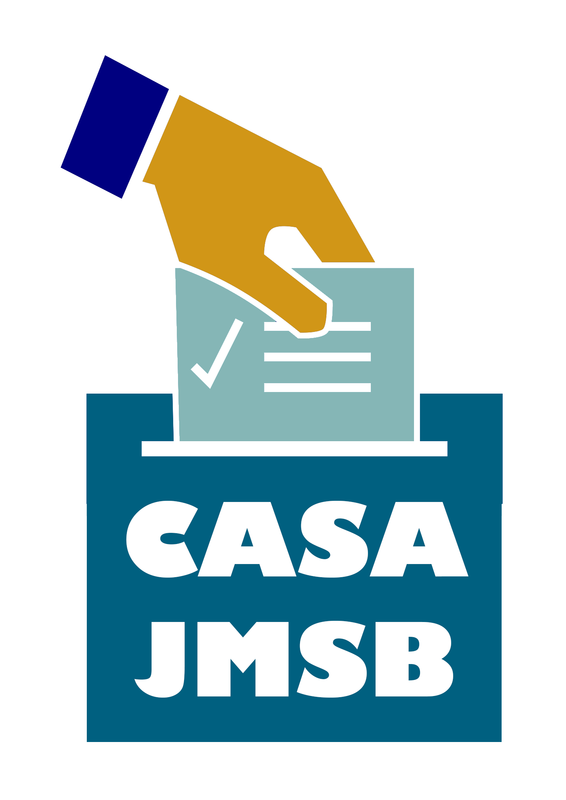 In the annual CASAJMSB General Elections, JMSB students will be able to elect their peers into positions within CASA’s executive team, including president, VP finance and VP events, among others. The positions for subsidiary presidents and independent directors are open as well. Since Concordia only allows registered student groups to use the school’s bulletin boards, as stated on the school’s website, CASA has chosen to advertise the elections using Facebook posts and pre-election debates. Benjamin Zoldan, a JMSB marketing student, believes the publicity for the elections has been effective this year. “I’m well aware of the upcoming elections. There’s a lot of news about it on social media so it’s pretty hard to miss,” said Zoldan. The student turnout for last year’s elections represented only a small percentage of those able to vote. Of the 7,000 students who were part of CASA, only 488 students voted. That’s approximately 6.9 per cent of the association’s membership. In an attempt to increase student participation, online voting has been introduced as an option in this year’s election. By sending in their name, student ID number and a photo of their student ID card to cro@casajmsb.ca, students were able to vote from home, however, only between Feb. 8 to 9. Pitchie said the proposal for an online voting system was brought forth to the board for the first time on Jan. 17, 2017, when awareness week—the first week of the election period—was happening just the following week. Pitchie said the decision was too rushed. “My opinion is that [online voting] is one that could have been explored if this proposal had been presented sooner or if we slowly started working on its implementation now for the next election in 2018,” said Pitchie. He said due to a short time frame this was not possible. “I hope that next year’s board has the necessary amount of time to review and test something of this magnitude,” said Pitchie. He said at this time, he cannot comment on how many people signed up to vote online. In-person polling stations will be open between 9 a.m. and 9 p.m. in the JMSB lobby, at 1600 Blvd. de Maisonneuve West.